Sometimes sellers have put a significant amount of money into their home and are selling at a loss. Often, they need to get a certain amount of that money back in order to buy a new house. "Subject to home of choice" is a term found in listings that indicates that a seller can get out of a residential real estate contract if they cannot find a new home to buy. Essentially, it is a seller's contingency that most often means that the seller needs equity in order to buy a new home. 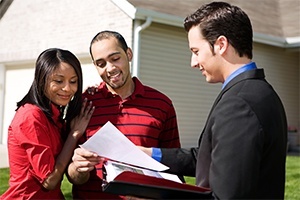 At Pulgini & Norton, our Boston real estate lawyers can help buyers and sellers protect themselves in connection with residential property transactions. Among other things, we can help a buyer understand what it might mean to make an offer on a property subject to home choice. Generally, in Massachusetts, an offer to buy real estate is treated like a contract. However, as a buyer, you need to be aware that if a home choice contingency is specified, the seller needs to buy a new home before selling the old one. Usually, this scenario is found in a seller's market, rather than a buyer's market. The seller may want to rent the home after it has been sold for a certain period until they move into the new home. Sometimes sellers are concerned that they will not have a place to live if the sales of their existing homes go through. Sometimes the "possession subject to home choice" clause is simply a single open-ended line. This is usually too favorable for a seller and does not protect a buyer sufficiently. However, in most cases, buyers may negotiate to make this language more limited with the help of an attorney. A seller should request a specific and certain period of time to get a contract for the new home. This period could be 15 days, 30 days, 45 days, 60 days, or some other period of time. During that period of time, the seller has the right to void the contract with the buyer. However, the buyer must still comply with certain dates, such as the dates specified for inspections, appraisals, and securing a loan. As a buyer, you should request protection in case the seller cannot find a new home that they like. Sometimes a buyer may negotiate to ask for a certain amount of money to be credited to them if the seller voids the contract due to the home choice contingency. This may be useful because it requires the seller to take some responsibility for making the contract work. When a seller and a potential buyer cannot agree on limiting language for this contingency, it is better for the offer to be rejected. However, if the parties are able to negotiate a precise time period for this contingency, they should also use that time frame to figure out the other contingencies in the contract, such as a home inspection. At Pulgini & Norton, our Boston real estate attorneys can assist you with every step of buying a new home or selling your existing home. Among other things, we can help buyers and sellers negotiate the language in their agreements. Our firm also represents buyers, sellers, associations, and lenders in Braintree, Cambridge, and Malden, as well as other Massachusetts cities. Call us at 781-843-2200 or contact us through our online form for a consultation with a property transaction attorney.